The press conference held by AG Ken Cuccinelli yesterday afternoon prompted articles all over the commonwealth. Within hours, reports were updated to reflect that the Treasury Department, of which the Internal Revenue Service is a part, had issued a letter regarding the money. Virginia is due to receive in excess of $100 million from a Medicaid fraud settlement. Seems Cuccinelli knew the letter was coming. Further, as pointed out in this article, contact between Treasury officials and the AG’s office never stopped, as had been claimed. Cuccinelli said communication between his office and Treasury officials was cut off two months ago. However, the text of the June 5 Treasury letter pledging an award to Virginia says it is in response to May 24 correspondence from Cuccinelli’s office. When the letter came yesterday, I was willing to give Cuccinelli the benefit of the doubt that he didn’t know it was on its way. Perhaps it is my long years of dealing with the government that caused me to suspect it was mere coincidence. But when I read that he knew it was coming, it really bothered me that he had staged this whole thing. Add this to the list of reasons why Cuccinelli should resign as AG. Additional stories (and I have to dig them up) say the IRS responded to Kaine, not Cuccinelli, and that Kaine’s office did not pass that information along. So the OAG was unaware of any letter coming this week. I haven’t seen that anywhere, so a link would be welcome. But his last correspondence to the IRS was dated May 24, which happens to have been a Friday plus it was the Friday before a holiday. So it does beg the question of why he gave the IRS essentially one week to respond to his latest missive. Does any governmental agency, including the AG’s office, respond within a week? The A.G.s internal polls likely are showing him with high negatives and behind his opponent. Why else would he panic fire and ask for 15 debates and then attempt to pull off this stunt ?? This is really tortured conjecture and you’re giving way to much credit for honesty to those various departments especially given how they behave under ANY administration. Further, there is DOCUMENTED illegality on the treatment of the Tea Party groups by the IRS. Allowing them to pick which of the one sided correspondence they were going to respond to is giving them a free pass. Which is the way government likes it. April is when the Cuccinelli office sees communications break down. The very idea and pretense of knowledge that you think you can pin point what they thought and when they thought it based on government agency spin is ridiculous. Until the chickens hatched, Cucinelli wasn’t counting. 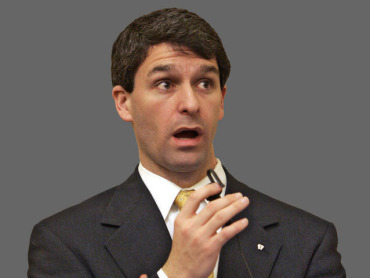 Cuccinelli got lucky here. And the “victory” isn’t really Cuccinelli’s”, he’s just piling on the pressure. The real force is the government being caught with their pants down over other issues. The AG was just adding pressure at the right time and caught a lucky break. The FACT is the administration is under VERY HEAVY scrutiny over IRS abuse and now spying. These problems transcend partisanship. What? Have it said that in venomous spite, Virginia will be robbed of money owed on top of everything else? What is being manufactured, is this bogus allegation of manufacturing. They HAD to cave! They’re just trying to manage the damage done when forced to help Cuccinelli. And really Charles, despite the “extremist” vulnerability, debate is totally a plus for Cuccinelli. Debates would be a total win for him. You don’t want your guy facing him in a public debate. All T Mc will have is the “extreme” card and attempt to highlight that by bringing national issues to a statewide race. You don’t need “panic” to motivate you to call for an obvious win/win. You are REALLY underestimating Cucinelli in a very very bad way if you think they don’t know a debate scenario favors Cuccinelli by a large margin. I may have a strong disagreement on some of his social conservative views, but he is very effective at what he does despite heavy resistance. This guy is wicked smart. If there is a debate, you be sure to watch it. Then you will learn that no motivation of “panic” was needed to ask for this freebie for Cuccinelli.